Back with another skin care review and this time I am focusing more on blemished skin as recently I had a massive cluster outbreak all over the nose & lower lip area without any warnings for the past week. Imagine how devastated I was to see such a scary skin condition (for my case la lol as I have generally quite decent skin to start with) and I don’t mind pimples or acne as long there are signs of one popping up (like nearing period month). That’s the main reason why I rarely selfie or put on make up these days as I am worried it might agitate them even more, after the first week it showed no signs of clearing up, in fact it has gotten worst till I remembered that Murad had sent me their latest “Blemish Clearing Solution” earlier last month during their launch and decided to give it a try. As their claim: 96% of Blemishes Clearing Solution Users saw clearer skin in just 72 hours! 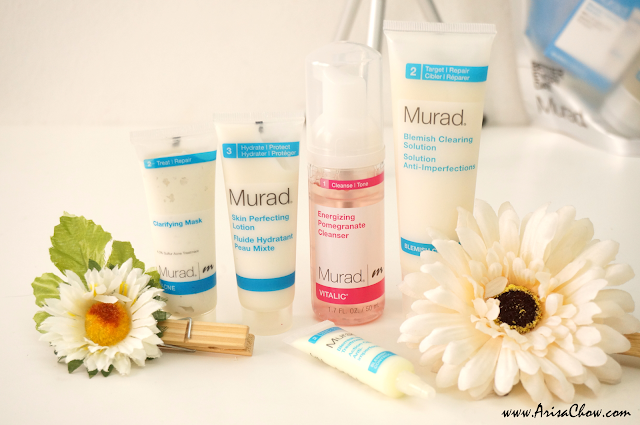 Murad is no stranger when it comes to solving skin problems as they are a renowned dermatological brand that has been trusted by millions in so many countries, but previously I did not touch their brand as I didn’t see the need to and also it’s beyond my budget lol but now I know why it is something worth investing in. Murad’s Blemish Clearing Solution is designed to quickly and effectively reduce breakouts by targeting and treating the blemished areas caused by bacteria and debris in 72 hours without causing any skin irritation as we all know when blemishes are fresh any kind of product we use usually irritates it even more. It is a step 2 full face treatment (applied all over direct after cleansing) for daily usage and it contains Salicylic Acid and Queen of Meadow extract to fight break outs and keep pores clear. Considered like a vitamin blend to soothe and aid the healing process of the inflamed skin and also Retinol and Tea Tre Oil to purify the surface to prevent breakouts near future. Follow by step 3 moisturizer for more effective results. Here is my before and after pictures after 120 hours (5 days), I prolonged my experiment process to maximized the results of this Murad Blemish Clearing Solution. It showed significant amount of improvements after 5 days of usage (day & night), though it is not 100% clear yet but can see that my skin has stopped being inflamed and all my clusters are drying up, thank god now new ones formed lol. I noticed as it dries up the top layer of the pimple tend to get discoloured (darker) for some reason, but that didn't bother me all that much as it is FREE from pus lurking underneath it. As mentioned, as the headless pimples will turn into blemishes (not scars!) that will fade off in a week or so. I rather have that (blemishes) than painful pus filled headless pimples lol, at least blemishes can be covered with cosmetics and it doesn't hurt. 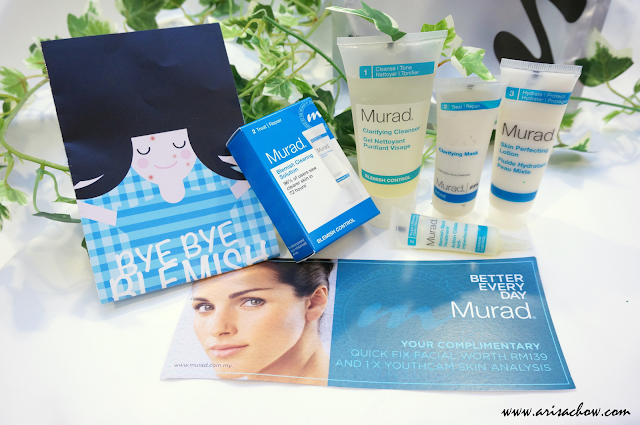 And thanks to the generosity of Murad Malaysia, I am giving an opportunity to ONE (1) of my lucky readers to bring home a Murad skincare set inclusive of a trial tube of their latest Blemish Clearing Solution to try out for themselves & see the difference. 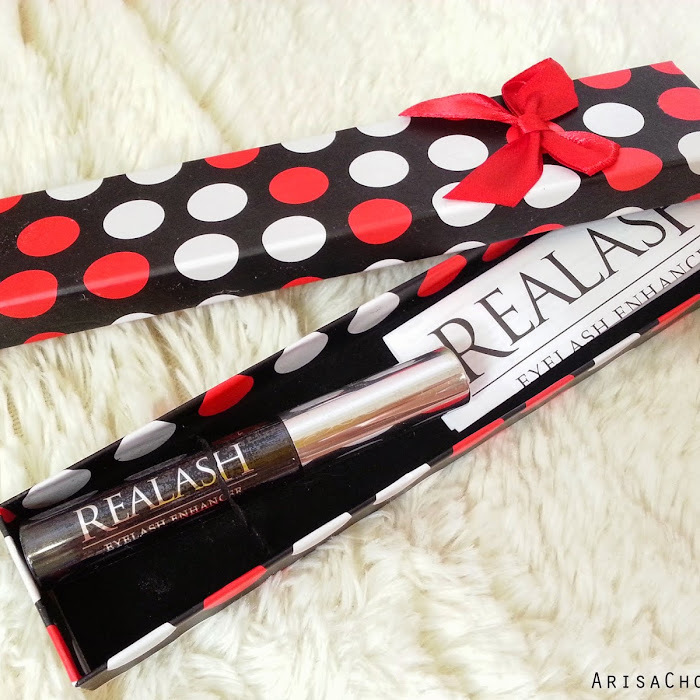 **It also comes with a Quick Facial & Skin Analysis worth RM139 (exp May 31st)! Prize worth RM200++ ! All can be your with 2 simple steps. 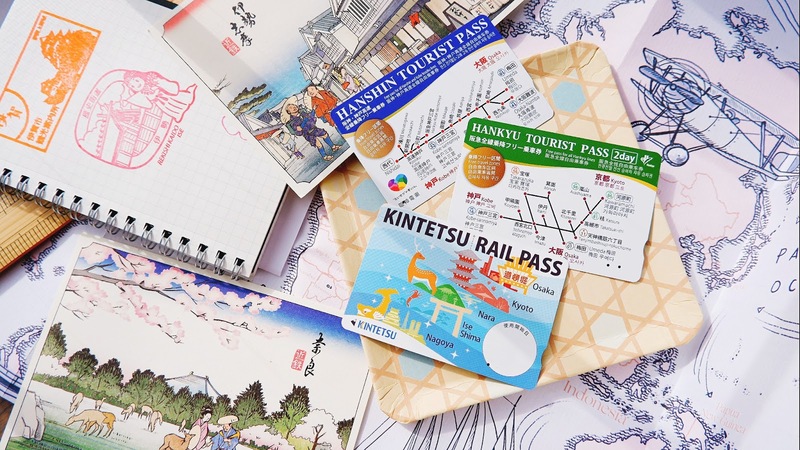 To leave a comment on this blog, please register by "FOLLOWING". For more details drop their official pages a visit! Thank you all for the support and for those who didn't win this round there is still chances to win Cerro Qreen Make Up brushes & Lipidol products to be won! I want to try Murad Blemish Clearing Solution because recently I've got quite lot of pimple in my face, it keep coming and coming after another. I think the reason is I had been using a new bb cream product that doesn't suite my face. 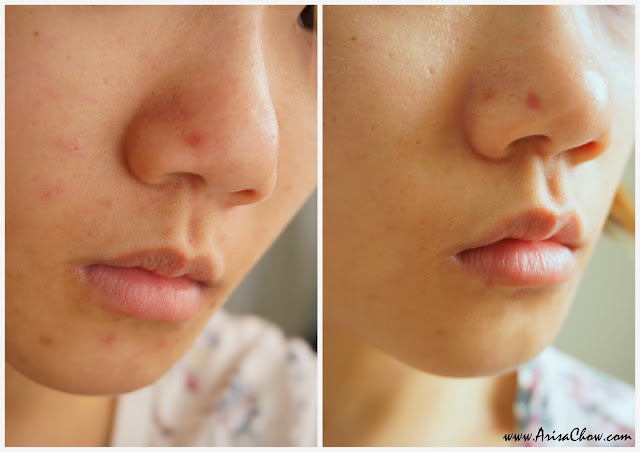 Hopefully Murad Blemish Clearing Solution can help me, as they helping others to overcome the blemish problem. Hope that I can have a try on this Murad Blemish Clearing Solution. Thank you. hi arissa. 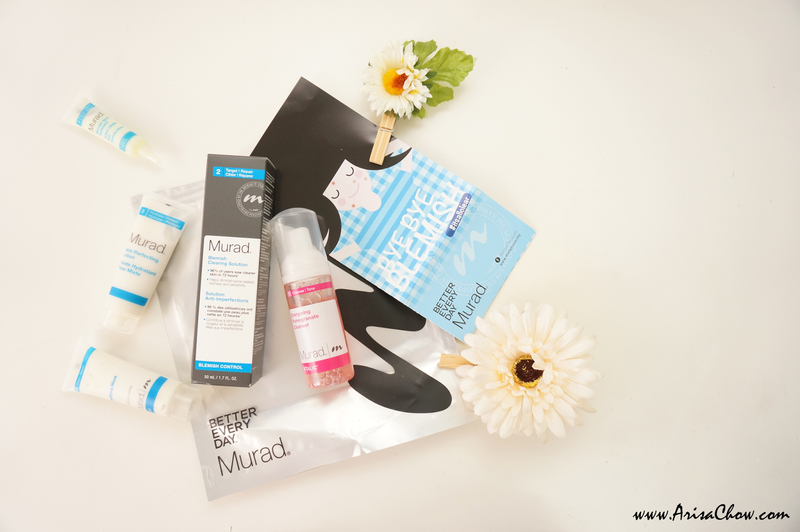 i want to try Murad Blemish Cleaning Solution because i never used to have a perfect healthy skin before. and it's so hard for me to find the perfect one that can help me cure my skin problems as well as makes my face look prettier. and now my face gets healthier than before but the blemish lowers my confidence level. i want to feel free and confident with myself again. 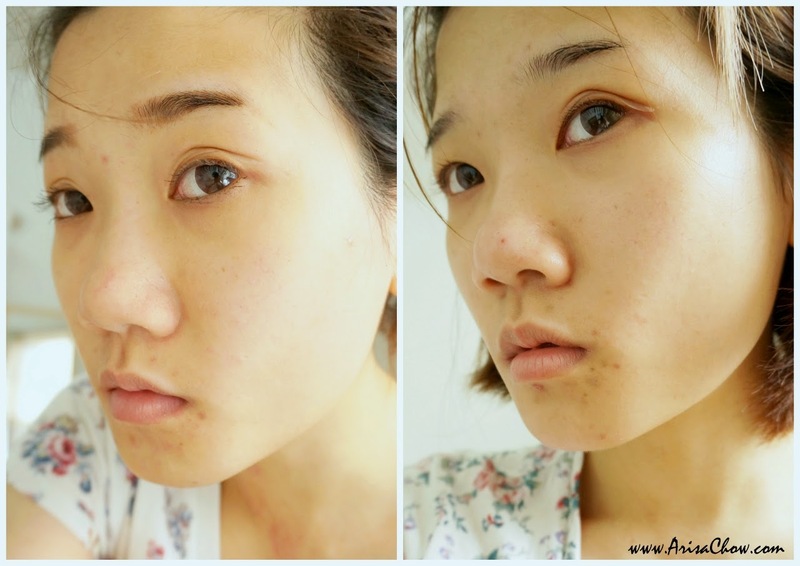 i want be pretty without worrying about skin problems anymore. 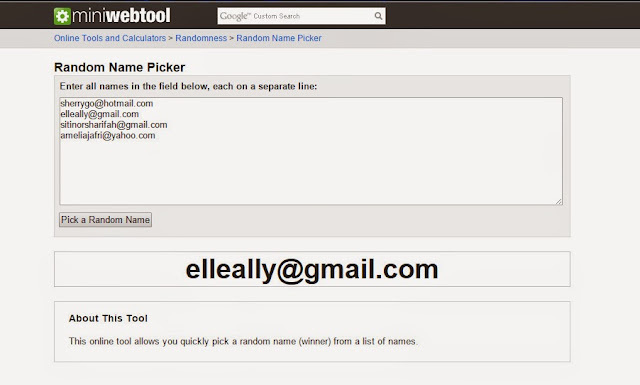 Thank you all for joining & winner announcement shall be made at 10am today!